Nursing Documentation: Proven Strategies to Keep Your Patients and Your License Safe is organized by PESI HealthCare and will be held on Apr 29, 2019 at Hilton Chicago/Oak Lawn, Oak Lawn, Illinois, United States of America. This CME Conference has been approved for a maximum of 6.3 contact hours. Target Audience: • Nurses • Nurse Practitioners • Clinical Nurse Specialists • Legal Nurse Consultants • Risk Managers Conference Description: Join expert and legal nurse consultant, Brenda Elliff, to learn how to develop a systematic approach to documentation that will keep you, your patients and your license safe. You will learn how to identify and avoid risky documentation as well as how to correctly utilize electronic documentation and the correct technique for meaningful use. Brenda will show you, step by step, how to overcome your most complex documentation questions and challenges. This dynamic one-day program will include tools to improve your documentation including: • Time-saving tips for electronic documentation and EMR use • Documenting compliance, incident reports, and adverse events • Sample strategy worksheets for ease of data collection • Dangers with social media, email, and texting • Examples and case studies of correct and incorrect documentation Conference Objectives: • Identify a strategic nursing documentation system. • Describe how documentation is used to decide if you are guilty or innocent in a lawsuit. • Recognize the meaningful use criteria to meet reimbursement needs. • List how to best use features in computerized records to ensure reimbursement. • Identify how to prevent risky behavior when using social media and other forms of electronic communication. • Define how to use best practice and standard of care for documenting incident reports and adverse events. • Integrate the correct practices into your documentation to keep your license unblemished. • Summarize the common documentation mistakes and how to avoid and/or correct them. Stress Reduction Strategies for Nurses: Revitalize Your Practice is organized by PESI HealthCare and will be held on May 14, 2019 at Hilton Chicago/Oak Lawn, Oak Lawn, Illinois, United States of America. This course has been approved for a maximum of 6.3 contact hours. Target Audience • Nurses • Nurse Practitioners • Clinical Nurse Specialists • Nurse Educators Course Description: Plan to join Sara Lefkowitz for this revitalizing workshop. Sara really understands nurses and the complexities of working in the healthcare environment. She has synthesized materials from important thought leaders in the fields of stress reduction, compassion and nursing to present to you powerful and useful tools to incorporate into your nursing practice. Multiple demands, fast pace, change and complex situations are common in healthcare environments. This leads nurses to experience the acute and chronic effects of stress. During the stress reaction, the body is flooded with stress hormones. Sara will demonstrate exercises to calm the nervous system. The goal is to develop mindful RESPONSES to stressful events in place of harmful stress REACTIVITY. Mindful responses to stress will help you stay balanced and focused in the midst of a busy day and increase the effectiveness of your nursing practice. Nurses work with people in crisis. We can become distressed and overwhelmed by other people's trauma and illness. This contributes to burnout and compassion fatigue. Sara will teach you techniques to develop emotional boundaries and to work successfully with difficult emotions. Patients and colleagues want to feel seen and heard. The skillful choice of words and good listening can turn potential conflict into collaboration. Learn effective mindful communication techniques. Sara is confident that this workshop will help nurses regain their sense of vitality, purpose and desire to make a difference in the world. Enroll now for a life- and career-changing event! Learner Objectives: • Apply stress reduction strategies in your professional and personal life. • Explain the components that contribute to burnout. • Practice in-the-moment stress relief techniques including Four Square Breathing, Mindful Check–In and STOP. • Differentiate between toxic and healthy workplace environments. • Apply mindful communication techniques to patient care scenarios. • Evaluate new techniques to process difficult emotions. • Create a realistic self-care plan. Additional details will be posted as soon as they are available. Obstetrics (OB) Emergencies is organized by PESI HealthCare and will be held on May 22, 2019 at Hilton Chicago/Oak Lawn, Oak Lawn, Illinois, United States of America. This Conference has been approved for a maximum of 6.3 Contact Hours. Target Audience • Nurses • Nurse Practitioners • Clinical Nurse Specialists • Nurse Midwives • Certified Childbirth Educators Course Description: Jamie Otremba will delve into the most common obstetrical emergencies presenting in today's patients. She will provide you with a comprehensive look at the critical interventions for: • Trauma in Pregnancy • Severe Hypertensive Disorders in Pregnancy • Managing Amniotic Fluid Embolism • The Latest Recommendations for Post-Partum Hemorrhage • Urgent vs. Emergent Newborn Conditions • Interventions to Manage Violent Situations in the OB Setting Jamie's extensive experiences in high-risk obstetrics have provided her with keen insight into these often challenging and frightening situations. She is eager to share with you many of the effective interventions that she has acquired throughout her career. 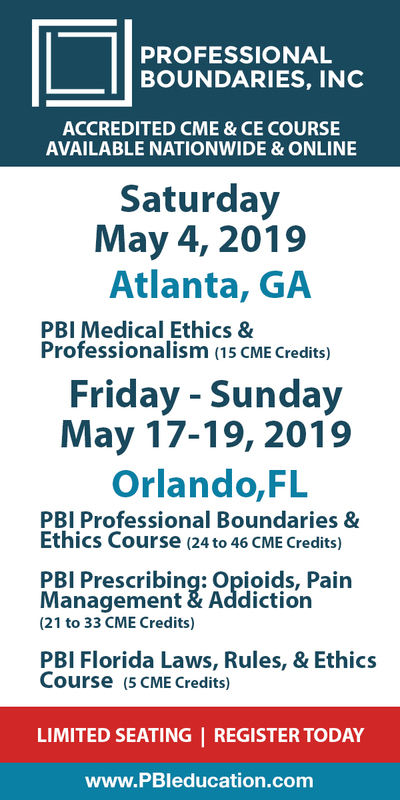 Through enlightening case studies, persuasive evidence-based research and an engaging presentation style, she will teach you the current trends and treatments you need to know to manage the next OB emergency. Attend this seminar to learn new strategies and techniques that can immediately impact the maternal and fetal outcomes of your patients! Course Objectives: • Identify three clinical manifestations of amniotic fluid embolism. • Describe the most common causes of obstetric trauma. • Discuss management options for post-partum hemorrhage. • Explain why a d-dimer is no longer recommended as part of the evaluation for pulmonary embolism in pregnancy. • Analyze why neurological outcomes with amniotic fluid embolism are so poor and the rapid interventions that could make a difference. • Compare the various treatment options for the obstetrical patient with severe hypertension. Spinning Beyond Basics - An Advanced Vestibular Rehabilitation Course is organized by Healthclick and will be held from Aug 09 - 10, 2019 at Advocate Christ Medical Center, Oak Lawn, Illinois, United States of America. 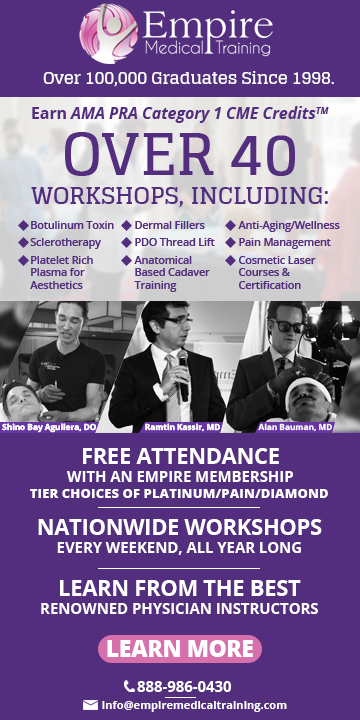 The target audience for this medical event is PT, PTA, OT, AT. This CME Conference has been approved for a maximum of 15 hours of CME credits. This course is 18 contact hours/1.8 ceus for therapists licensed in NY, IL, or DC. Course Objectives are: • Identify signs and symptoms that differentiate the diagnostic groups of BPPV, cervical dysfunction, psychogenic, Meniere's disease and migraine. • Perform appropriate examination procedures to distinguish between the diagnostic groups of BPPV, cervical, psychogenic, Meniere's disease and migraine. • Design customized exercise protocols for each of the diagnostic groups of BPPV, cervical, psychogenic, Meniere's disease and migraine. • Identify psychological problems that can affect the management of vestibular problems and learn how to modify treatment interventions, plans and goals. • Recognize role of migraine as both primary (causing of distinct vertigious episodes) and secondary (traditional migraines leading to more persistent motion, intolerance) contributor to dizziness and its impact on rehabilitation. • Develop an understanding of the important role of both the medical and rehabilitative aspects managing dizziness and when to refer to another provider. • Identify a multitude of balance facilitation techniques both for motoric and sensory balance deficits with the dizzy patient. • Develop skills related to the "fine art" of vestibular rehabilitation, which is the accurate interpretation of eye motion as it relates to the patient's clinical presentation. • Develop improved management skills for patients stable vestibular deficits such as status post acoustic neuroma disability, including fundamental skills related to facial rehabilitation, expected outcomes and treatment progressions. • Identify the clinical presentation and learn clinical testing of patients with superior canal dehiscence (fistula) and current management. • Recognize the clinical presentation of patients with Mal de Debarquement, current theories of pathophysiology and current recommended management strategies. Additional details will be posted as soon as they are available.